And, it's because of his own new book, "Who Owns the Future?" Well, yeah, libertarians may believe that. But, name names on any socialist who does. Especially that last sentence. And, for the real crushing, let's bring in the heavyweight crusher — Evgeny Morozov. I had missed Morozov's review of the book, but it's well worth a read. Stingy with specifics — he rarely quotes his ideological opponents, opting for constructions like “I am often told” and “I continue to hear fairly often,” and introducing them as the “Pirate Party/Linux/openness crowd” — Lanier eagerly opines on dense economic matters. “Keynes was an unapologetic financial elitist and had no interest in a quest for income equality or a planned economy,” he informs us, without providing a source. In Lanier’s ideal future, we would all be liking in the morning, texting in the afternoon and tweeting in the evening. Robots and 3-D printers would do all the hard work, allowing us to get rich simply by being ourselves. “In a humanistic digital economy,” he writes, “designers will still make a living, even when a dress is sewn in a home by a robot.” And the good news keeps coming: “Someone who wears the dress well might also make a little money inadvertently by popularizing it.” Go ahead: Get yourself another dress and get even richer! Following Lanier’s logic, any correction in the market system — say, price adjustments based on changing demand — would require that extra profits be transferred to consumers. But should you expect a supermarket to send you a check simply because you chose to buy one brand of milk over another? Probably not. Why treat Amazon differently? Even if there's a bit of over-the-top caricature in the first graf, the general gist is right. First, who wants to be doing that all the time? If that's Lanier's solution, it's not very humanistic, and it's not very practical. Second, per the third graf of the quote, Nike doesn't pay me to wear a Nike T-shirt right now, not even a micropayment an infinitesimal fraction of what it pays Tiger Woods. Why would any of this change, when big companies pay marketers to work to continue to get us to do this for free? Third, and even more anti-humanistic, is this idea of "you can't fight the digital snooping, so you might as well join it." That mix of neoliberalism, libertarianism in drag, and outright antihumanism is some mix of depressing and disgusting. 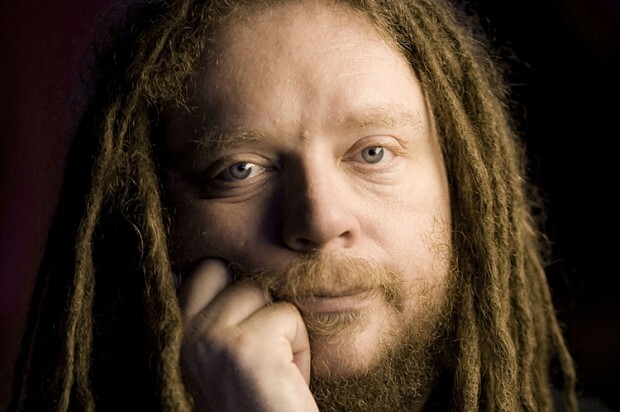 Jaron Lanier just went way, way down in my book. Beyond the libertarianism and the antihumanism, the naivete level is just incredible. He uses the word "hypercapitalism" in his Salon interview, yet is naive enough to believe that hypercapitalistic companies, especially those focusing on the "infowars" I've blogged about before, are actually going to give you and I a "cut." I simply don't get how someone who has certainly in the past given such indications of brilliance can be that naive, or more bluntly, that dumb. Lanier titled one of his previous books, "You Are Not a Gadget." However, his ideas on how much we should commodify ourselves in the Internet world sure make it sound like he's done a 180 on the thesis of that book. Because, one way of reading that commodification idea is that Lanier is now saying we should just shrug our shoulders, accept defeat, and make ourselves into cybergadgets. Finally, per this Smithsonian piece, it's arguable that Lanier isn't as much of an outsider/rebel on these issues as he makes himself out to be. I think he's generally done a very good job on diagnosing the problems, but his solutions are just all wrong. Maybe Morozov's worries about "solutionism" aren't all wrong. Update, Nov. 12, 2017: Lanier has a new memoir out, and a Guardian review indicates that maybe he's softened a bit on some of these issues, but probably not a lot. Did #WestTX paramedic cause fertilizer explosion? Could a golf major come to Dallas?